Serious students from Grade 6 to diploma level accepted. Am prepared to visit students own houses subject to extra payment for travel time involved. Currently a Senior Examiner for TrinityGuildhall and involved with setting of the grade and diploma syllabus for the piano examinations. 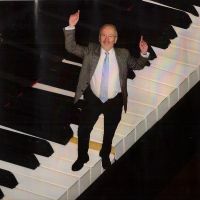 Past teaching posts have included Professorship at London College of Music and Piano Lectureships at Avery Hill College of Education and Middlesex University. Visiting positions have been at Trinity College of Music, Trinity College Dublin, Hong Kong Academy of Performing Arts, State University of New York while current teaching includes work at Christs' College Cambridge University and at Epsom College where pupils range from Grade 5 level to post ATCL level. Prepared to offer reduced rates for terms of lessons, i.e. 10 hours for £350 if paid in advance.